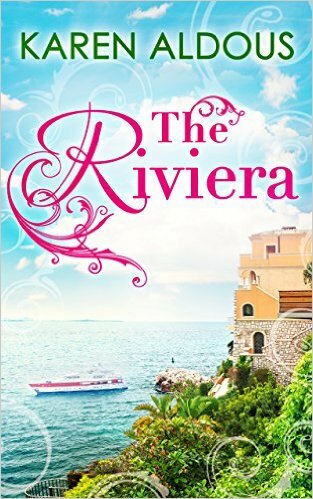 My review today is for The Riviera by Karen Aldous, the sequel to The Vineyard, which I reviewed here. We are back in the South of France with Lizzie, whose beauty salon is doing well and Cal, whose vineyard and renovation project are moving along nicely and for a while everyone is happy, including Lizzie’s young son Thierry. However things are not going well for Cal’s teenage son in the States and he needs his Dad, now. Lizzie’s work and life keep her in France, which puts distance and emotional pressure on their new relationship. Lizzie finds it hard to trust Cal while he is with his ex, Kelly, who is always the manipulator. A family mystery from her past creates a diversion for Lizzie, but it seems there is more than one family skeleton waiting to be rediscovered. Lizzie becomes an emotional wreck, jumping to conclusions and putting her foot in it at a time when she should be happy. Her salon is the talk of Cannes and her friend and business partner Sophie needs her help to plan her wedding. Will commonsense and love win out over stubbornness and jealousy? They are certainly not in for an easy ride, but there is something very likeable about Lizzie that had me keeping my fingers crossed for most of the book. To read my reviews of Karen’s other novels, click on the links below. To read my France et Moi interview with her, click here. Links to all her novels on Amazon can be found below.